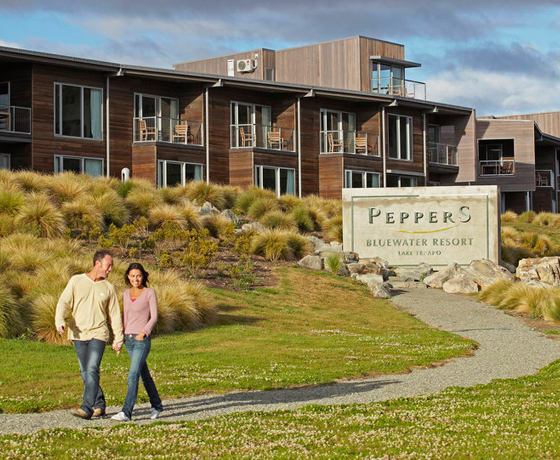 Near the shores of Lake Tekapo, in the heart of Mackenzie region, is Peppers Bluewater Resort. 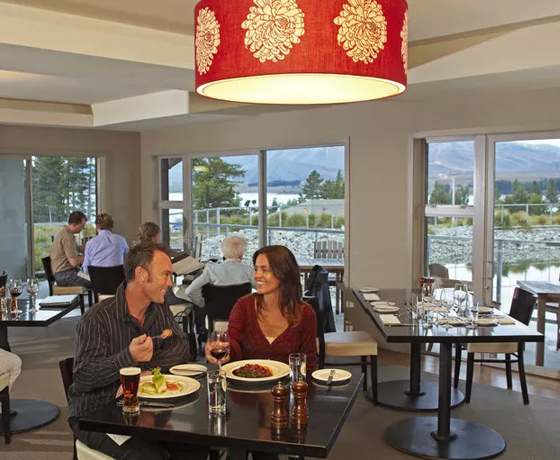 Overlooking Lake Tekapo this resort is located in an intensely beautiful part of the world. 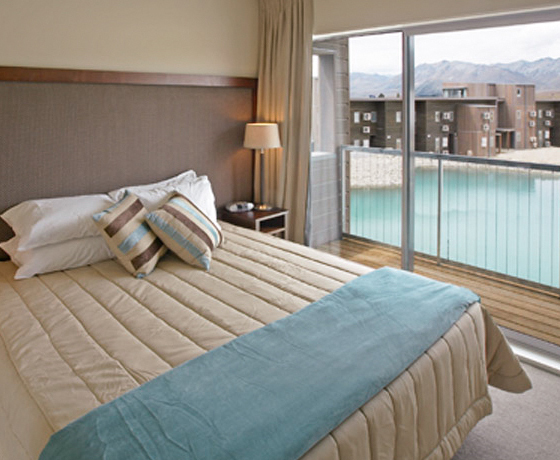 Accommodation options range from hotel rooms to 1-3 bedroom villas. Peppers Bluewater Resort is set amongst the purest natural landscape. Romantic and secluded, your accommodation reflects the beautiful landscape surrounding you. Explore the natural wonders of Aoraki/Mount Cook and the Mackenzie region from here. Marvel at the Aoraki Mackenzie International Dark Sky Reserve with millions of stars. 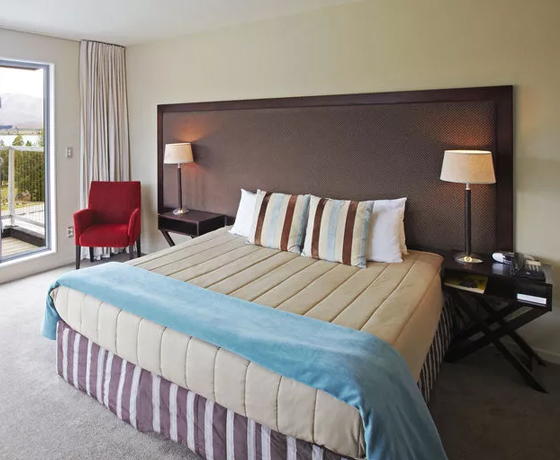 Ride horses through the mountains, catch a scenic flight over the Southern Alps, go skiing, or immerse yourself in the Tekapo Springs Day Spa and Hot Pools. Select your preferred option(s) from the grid below. Designed for Sleep & Go, Hotel Rooms are intimately spaced at 14.70sqm(small). Rooms do not have a view. Equipped with LCD TV, under floor heating, a/c, tea & coffee making facilities. No Lake Views, no balcony or Patio & only available on ground floor. Your resort style 1 Bedroom Suite spreads over two levels offering the perfect setting to indulge and relax. Featuring a spacious lounge, full kitchen & dining area. taking in views from your outdoor deck overlooking fabulous alpine views. Your resort style 1 Bedroom Suite spreads over two levels offering the perfect setting to indulge and relax. Featuring a spacious lounge, full kitchen & dining area. taking in views from your outdoor deck overlooking stunning Lake Tekapo views. Your resort style 2 Bedroom Suite with one bathroom spreads over two levels offering the perfect setting to indulge and relax. Featuring a spacious lounge with gas fire place, full kitchen & dining area. taking in views from your outdoor deck overlooking fabulous mountain views. Your resort style 2 Bedroom Suite with one bathroom spreads over two levels offering the perfect setting to indulge and relax. Featuring a spacious lounge with gas fire place, full kitchen & dining area. taking in views from your outdoor deck overlooking stunning Lake Tekapo views. Dual keyed three bedroom lake view villa is set up as a two bedroom unit with bathroom on the ground floor. Lounge, kitchen, dining area & balcony upstairs with lake views. This room interconnects with a studio on the ground floor with ensuite bathroom. Using existing bedding, this villa sleeps six people - Fold out couch in lounge can be set up for additional $45.00 to sleep a maximum of eight people. How to find Peppers Bluewater Resort? Peppers Bluewater Resort is located on State Highway 8 in Lake Tekapo village, a scenic 2 hour drive from Christchurch.